Once again, another year has flown by and it’s time to celebrate the annual TwentyTwo Integration Summer Party! This year we went down the road to our local sports ground, The Oval, to watch Kent take on Surrey in the Vitality Blast T20. 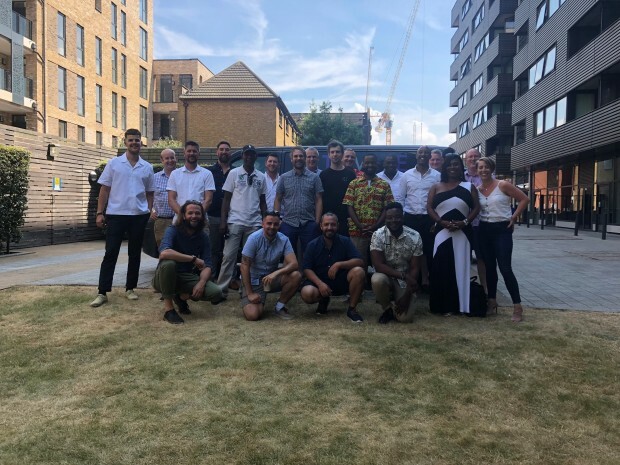 With a great view from the Corinthian Roof Terrace, we watched a brilliant match on a beautiful sunny day in London and celebrated the past months effort in style. The annual party is always a fantastic opportunity for the whole team to get together and celebrate the hard work and achievements made in the past year. Of course with great weather and even better company, the Pimms went down very easily and made for a fantastic evening. Thank you again to the whole team for all your efforts – and here’s to the next one!